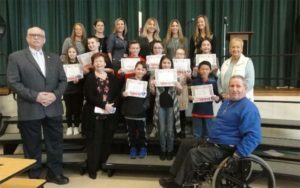 Terrific Kids, a Kiwanis-sponsored program that rewards students for special achievements such as volunteer work, just revealed a group of exceptional students from East Broadway Elementary School. These students are being recognized at the different schools in the district throughout the year. The following list of students are broken down based on grade and teacher.